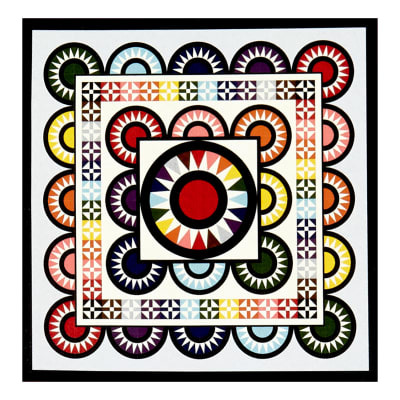 Designed by Mary Koval for Windham Fabrics, meet the Colorwall quilt. This group of blenders is Windham’s latest basics line and contains 12 different prints in 53 colors. There aren’t many kits left in stock. I’d better hurry!